Pictured here is a picture of Russian Airborne Troops landing on ice flows in the Arctic Ocean. MOSCOW: For the first time in history elite Russian Airborne units in cooperation with Collective Security Treaty Organization member-states’ rapid deployment force – plan to perform large-scale landing onto a drift ice in semi frozen water zone of the Arctic Ocean this April. This according to a press release by the Russian Ministry of Defense, dated April 4, 2015. Servicemen will perform landing and then conduct a humanitarian search-and-rescue training expedition to the North Pole. This event will take place with the cooperation of the Russian military transport aviation and the expedition center of the Russian Geographic Society. Note: The Russian Airborne Troops or VDV (from “Vozdushno-desantnye voyska”, Russian: Воздушно-десантные войска, ВДВ; Air-landing Forces) is an elite military branch of the Armed Forces of the Russian Federation. They are an elite force, on par with the Strategic Rocket Forces and the Russian Space Forces. AK-74M and AKS-74 assault rifles, and AKS-74U special purpose and self-defence carbine (5.45x39mm). RPK-74, light weight machinegun (5.45x39mm). PKM, general purpose machinegun (7.62x54mm). 6P41 “Pecheneg” general purpose machinegun (7.62x54mm), currently replacing PKM as general purpose machinegun throughout the Russian Armed Forces. Dragunov SVD, sniper rifle (7.62x54mm). Dragunov SVU, modified SVD in bullpup configuration and its variants are in a limited use. GP-25 and GP-30, under-barrel 40 mm grenade launchers for fragmentation and gas grenades. 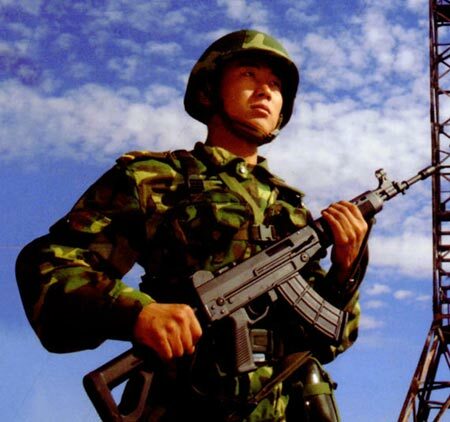 AGS-17 Plamya (Flame), 30 mm automatic grenade launcher. RPO-A “Shmel” (Bumblebee), infantry rocket flamethrower, currently replacing the older RPO “Rys” (Lynx). RPG-7D anti-tank rocket launcher, or more modern systems such as the RPG-22 and RPG-26. 9K38 “Igla” man-portable SAM system, or the more modern 9K338 “Igla-S”. 9K111 “Fagot” and 9K115 “Metis” man-portable anti-tank systems. 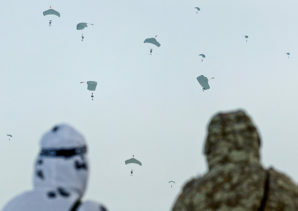 Russian Airborne Forces strength level: 35,000, will expand to 72,000 paratroopers by 2019. China accuses US of cyber and military espionage?